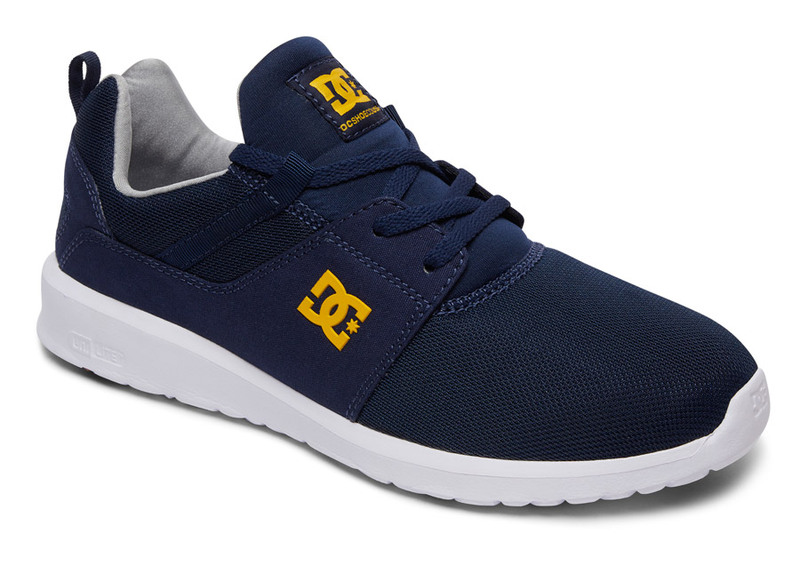 DC Shoes Heathrow Shoes. Mesh upper with micro suede or waxed canvas quarter panel. Spandex lining. Full bootie construction for secure fit. Internal toe cap reinforcement for structure in the forefoot. OrthoLite® footbed provides cushioning. Unilite™ midsole for lightweight comfort and support. Rubber outsole pods for traction.